You can seek legal recourse to stop another person from using your residential driveway for commercial purposes. The best way to go about it depends on your particular circumstances. If you have a deed to your property showing legal ownership and you alone have the legal right to exclusively use this private driveway, the easiest solution is to install a gate to prevent trespassing on your property. 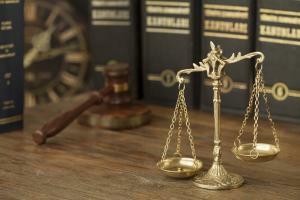 This gives you immediate results and saves you the cost of hiring an attorney. But, if this is not your choice, or other residents have legal access to the residential driveway, you will need to contact a lawyer to remedy your situation. Consider hiring a real estate or contract attorney to assist you in obtaining an injunction against those who are using the driveway for commercial purposes. The injunction will make it illegal to continue this commercial use of your driveway. You might also be able to get monetary damages from the past wear and tear on the driveway and invasion of privacy.